Pizzaville franchise business opportunity. Free Pizzaville business franchise information. Company Profile Pizzaville is an exciting foodservice concept ideally suited to today's fast-paced lifestyle. It is a member in good standing of the Canadian Franchise Association, and one of Ontario's leading fast- food franchises. 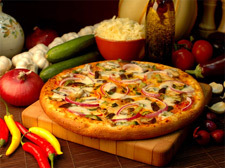 We specialize in providing top quality pizza, panzerotto and other complementary products to the public. From its inception in 1963 Pizzaville has grown to over 60 locations throughout central and southern Ontario, with over 30 stores in the Greater Toronto Area (GTA). A genuine commitment to the success of all franchisees evidenced by the fact that Pizzaville operates on one of the lowest overall cost and flat-fee frameworks in the pizza industry (in relation to such things as the franchise fee, and construction, equipment and product costs). It is the combination of these elements that has distinguished Pizzaville from the competition within the pizza segment of the foodservice market, and on which future growth and prosperity will be predicated. This philosophy has enabled Pizzaville to validly establish a reputation as an industry leader, and is the reason why it is regarded as a respected franchisor. It has also placed Pizzaville in a position in which it is poised for growth - to wit, it is its vision to achieve growth in the number of its stores, growth in sales per unit, and growth in profitability. With expansion continuing in Ontario, its vision is manifesting itself and, as such, Pizzaville is entering into a new and exciting phase of its development. 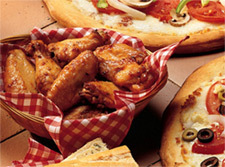 Pizzaville strives to provide its franchisees with all the necessary services. To learn more about the Pizzaville Pizza franchise opportunity, simply complete the form below.